What Is Your Dog Really Thinking? 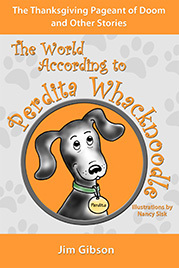 Perdita Knows! Can I Read Perdita’s Books Without a Kindle? SOME Humans Get It—I Have Proof! Abandoned . . . For Lasagna! Should I Be Mad? New Words For All. Free! The Wisdom May Have Come Through a Human, But . . .
Isn’t It Nice To Think So? If They’d Do This to a Human, We Dogs Better Watch Out! Could Reading My Books Save Your Furniture? I Think So! “TGIF? ?” What Difference Does THAT Make? My After-Christmastime Gift to You. A FREE Book! WOW! The Human Siri LOVED My New Book! What Would a DOG Know About Christmas Spirit? Deck the Halls? NO! FLECK the Halls! And with FREE Books!! They’ll Never Forget The Christmas Hayride of Doom! Does YOUR Dog Tweet? 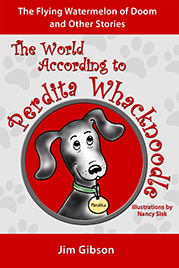 Perdita Does! 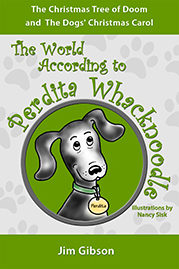 Enter your email address to follow Perdita's blog and receive notifications of new posts by email.